Accounting was never so easy. Complete audit trail and full visibility. Keep a full control over your accounting. Simple, isn’t it? Manage your vendors and clients in the same dashboard. Seamlessly connect your entire enterprise together with accounts payable software. Allow your accounting staff to focus more on analysis. Send and receive purchase orders. 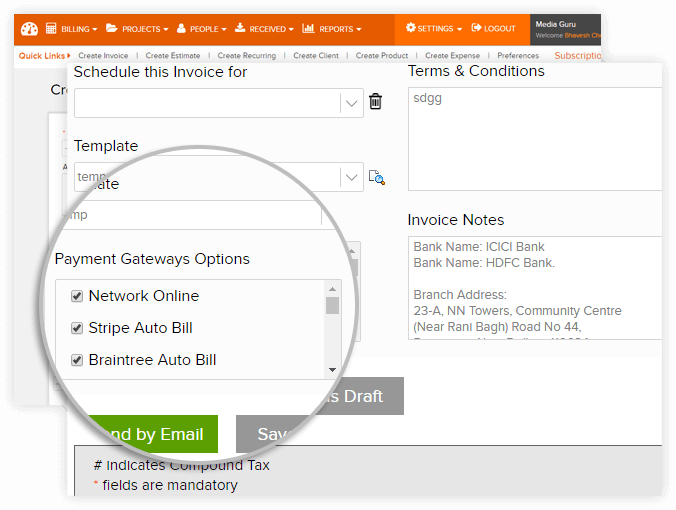 Easily convert purchase orders into invoices. 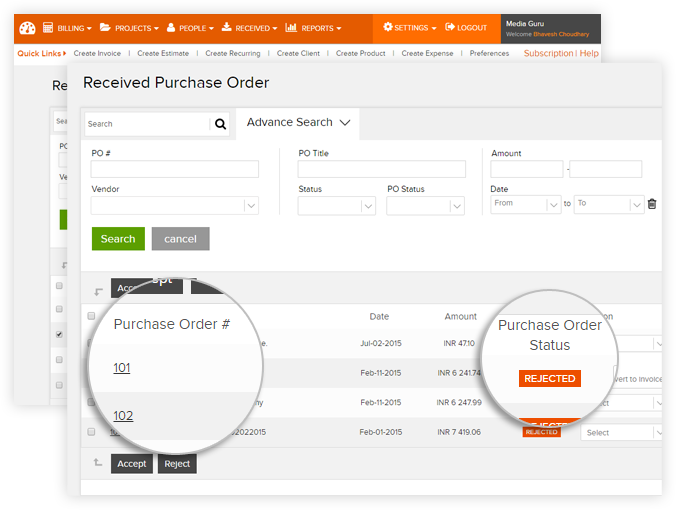 Assign payment terms and track numbers to purchase orders and sales. Invoices are hyperlinked to the original sale and purchase in inventory module. 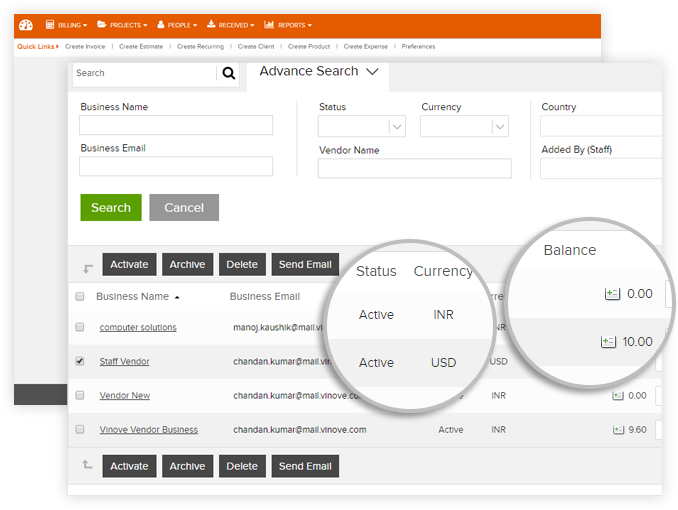 It is easy to receive and manage vendor invoices, now! 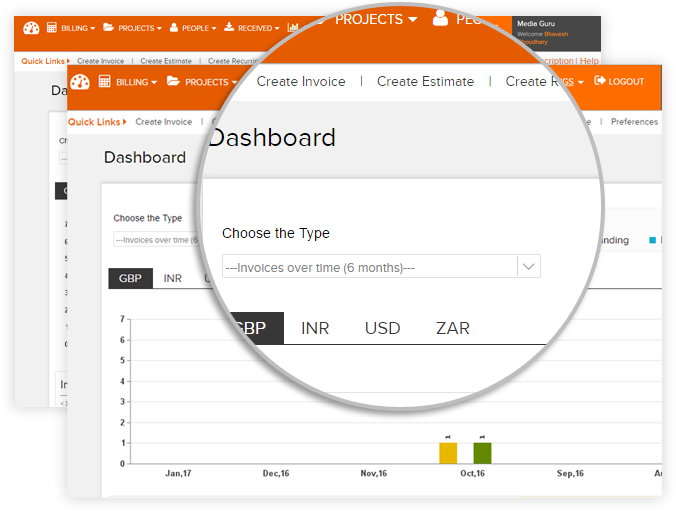 A single dashboard of accounts payable management and accounts receivable management software to keep a track of all your vendor invoices and estimates. Send out all documents in a timely manner with automated reminders. Track the status of the particular invoice and vendor with real time tracker. Manage communication with both clients and vendors from a single dashboard. Manage communication with both clients and vendors in a single place. Set up auto billing profiles and simplify the payments process. Receive and send payments through 30+ International payment gateways integrated with Invoicera. Easily include offline payments to records for an efficient accounts receivable management. 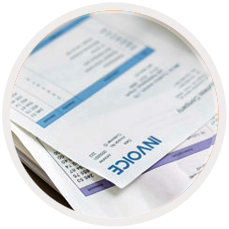 Apply or remove credits and notes to have a streamlined accounts payable management. Forecasting finances is no more difficult. When you’ll be able to manage credits, collections and create budgets, account receivable management will become convenient. Easy management of reports and quick analysis. Make budgets and forecast finances. Send automated payment reminders and receipts. Track invoice status in real time. 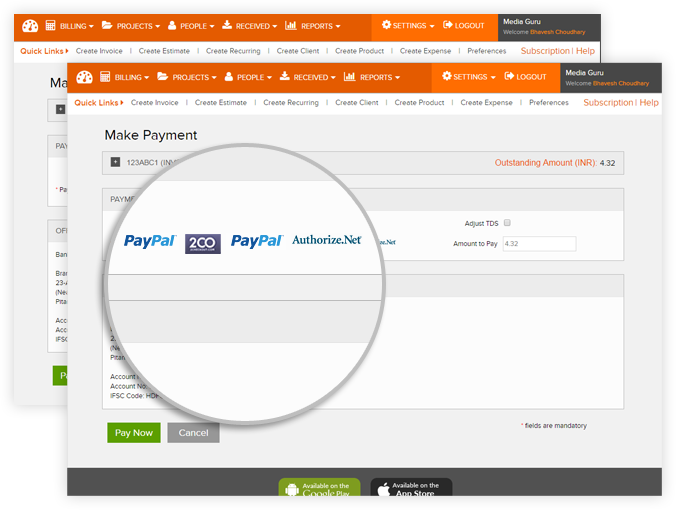 Manage online recurring payments and subscription billing. View detailed reports and much more. It is easy to generate reports on payments, invoice, credit notes, client and more with our Accounts payable & Accounts receivable Management Software. Track of budgeting of all customers and vendors. Assign project transactions in details. AR transaction details, AP transaction details, AR summary, AP summary and more. Balance all transactions and analyze your business. For my contractor business, I needed a solution that replaces an outdated manual invoicing system. Invoicera made it simpler and easier to invoice. Now, I spend less time manually and more time to help clients with their queries. Incredibly intuitive accounts payable management and accounts receivable management software. 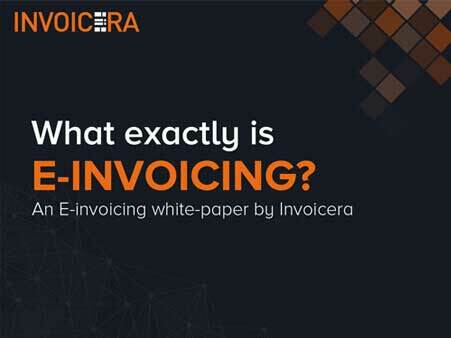 Invoicing becomes so much easier with Invoicera. It is an excellent tool to create professional looking invoices. I can easily track finances on monthly, yearly or regular basis. 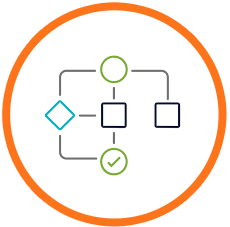 Get an easily customizable solution with expenses, estimates, invoices, and bills. It handles all your taxation hassles easily. Check out Invoicera to help you and your business succeed. I raise a thumbs up to this accounts receivable software free. With Invoicera, I'm able to completely manage my consultant business. I really appreciate that invoicing tool is transparent with customer-friendly support. Great tool for automating subscription management. My entire business depends on this accounts payable software free . Has there been a circumstance where you didn't pay a bill on time, incurred a late fee or end up providing your product for free? These problems encounter a negative impact on your ability to be profitable. Your business's account receivable provides the clearest indicator of the business's outcome. The accuracy and completeness of the company's financial statements are dependent on account payable process. To determine the company is profitable, you need to have more money coming (account receivables) than money going out (account payables). As a matter of fact, account receivable and account payable is about business credit. Implementing an online billing system can help companies to optimize their working capital and continue running healthy businesses.